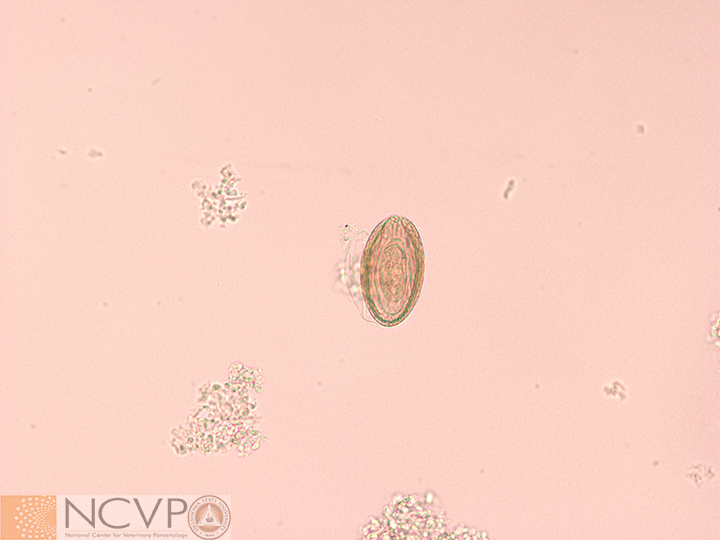 Adult acanthocephalans infect the small intestines of vertebrate animals. 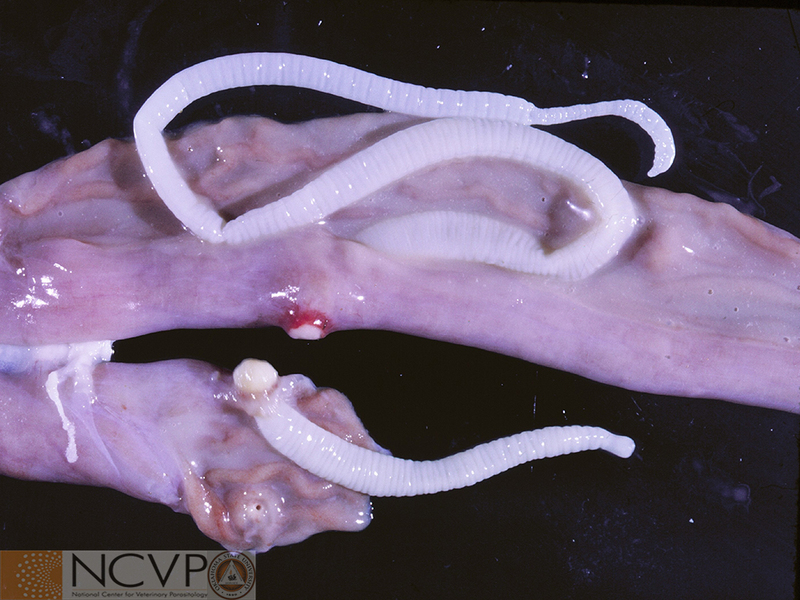 Acanthocephalans are most often misidentified as tapeworms in situ because they are white, flattened, wrinkled, and contain a thorny-proboscis. 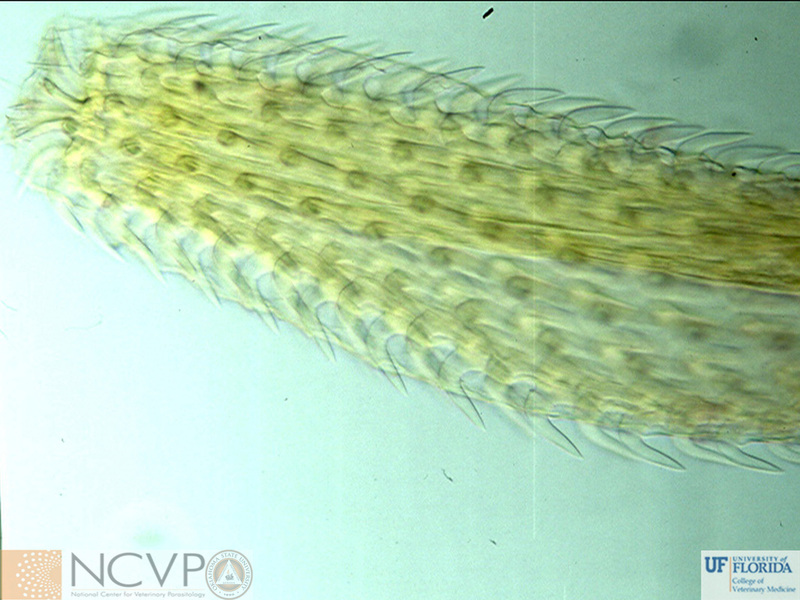 A closer view of the anterior end of Prosthorhynchus, an Acanthocephalan of birds, reveals numerous spines on an un-retractable proboscis. These spines are common across the order with numbers differing between species. Macracanthorhynchus hirudinaceus is known to have six transverse rows of six hooks each. Eggs of Macracanthorhyncus spp. are 67-110 by 40-65 µm. 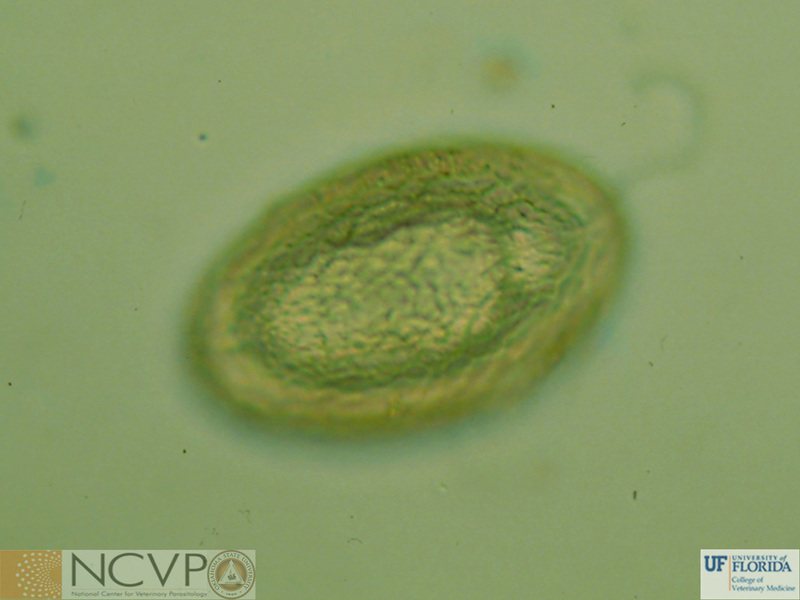 They are dark brown in color, pitted, and contain an acanthor (i.e., embryo) that is surrounded by several membranes. The acanthor contains hooks (arrows) that are not always easily observed.